Process One - Photo printing, film processing, scanning, and more. 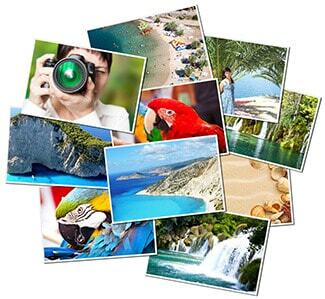 Premium quality photo prints - For people who love photos. We make your prints using the highest quality materials, the best lab equipment, and the most friendly and talented staff in the country. We take care to make the best prints possible from your pictures, including color correcting and hand inspecting each print. 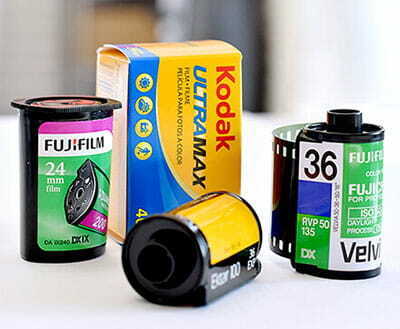 Print film, black & white, or E6 slide film developing, we can handle it. We've been developing and printing film in our lab since 1984 and we know how to do it right. You can bring your film to us here at our lab, or you can send the film in and we'll get it processed and sent back fast. Whether you're shooting 35mm, medium format, or 4x5 film, we'd love to process your film! • See all of our film processing, printing and scanning services and prices. Graduates - get one day turn around on wallet size photos with rounded corners. Great for senior pictures! Our wallet photos are perfectly die-cut with rounded corners. We provide quick one day turn around, professional quality prints, all at a great price. Order your wallet size photos online today! • Find out more about our wallet size photos with die-cut rounded corners. We can restore and colorize old damaged, torn or faded photos and make new prints. We can make passport photos for the US, Canada, and most other countries. Have a corrupt corrupt or eased camera card? We can recover your pictures! At Process One we have been providing high quality traditional film processing, printing and digital photo services to photographers around the country since 1984. Our services include professional quality film processing, digital photo prints, gallery prints, print mounting as well as video transfer and duplication all from our state of the art lab located in Overland Park, Kansas. If you have any questions give us a call - we're happy to help!